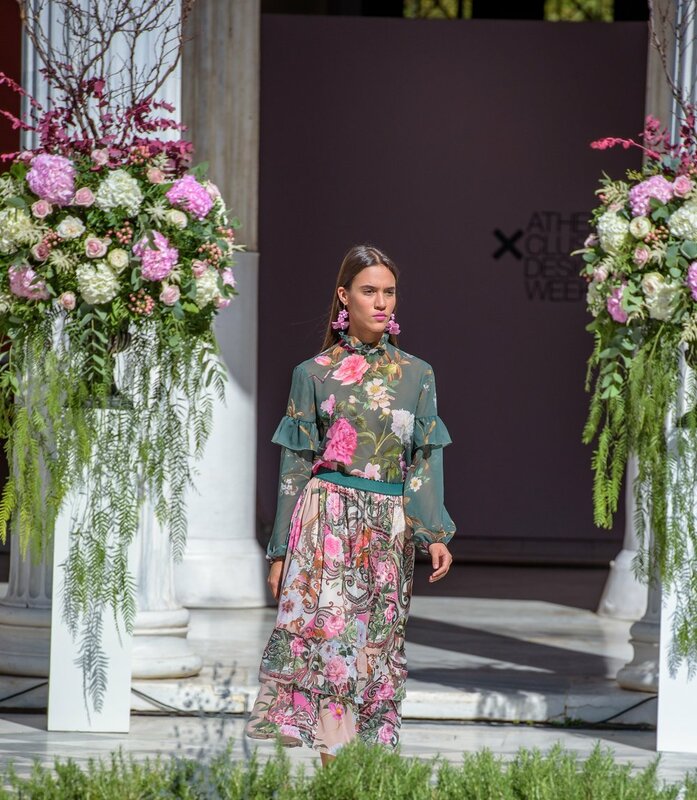 The formidable Anna Molinari's brainchild Blugirl is one of those brands that have an ethereal appeal to everyone within the realms of fashion. Her legacy with Blumarine and being the "Queen of Roses" elevated her more sporty, younger brands to great heights. 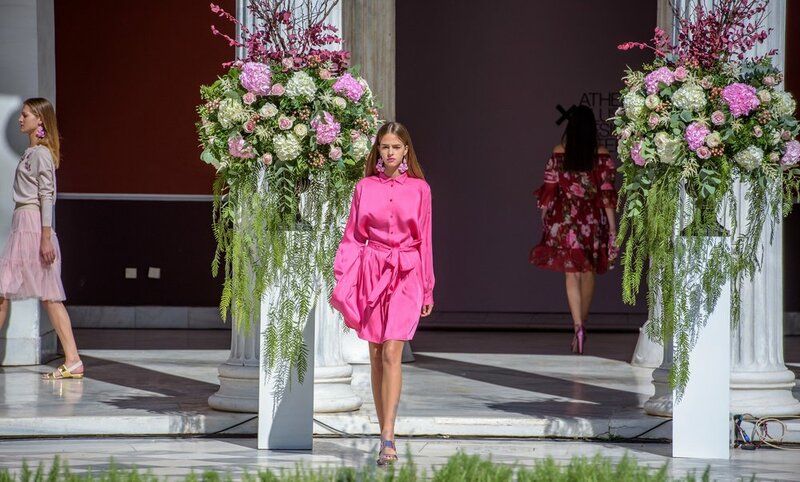 Blugirl's SS18 collection shown in the majestic Zappeion hall bore the levity and the legacy of her rather long list of accomplishment as a designer. Blugirl which is a younger derivative of Anna's famed Blumarine brand walks with the same realm as Miu Miu does with Prada. 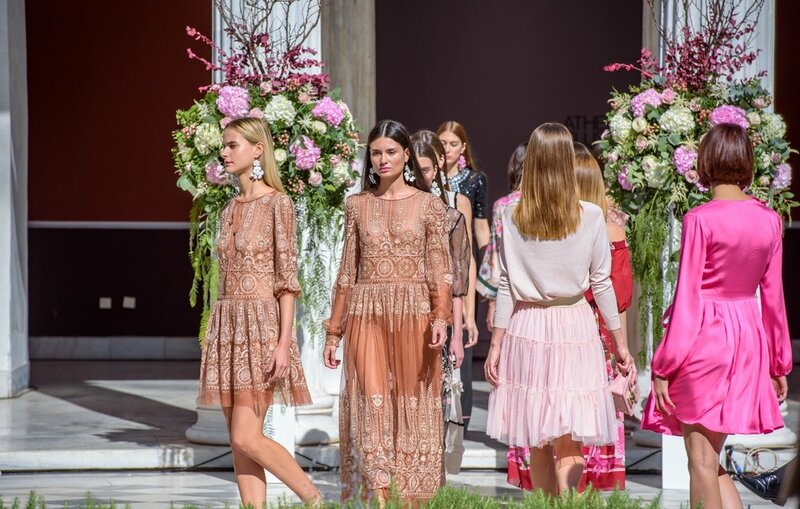 Despite being the more youth-centric brand, it incorporates the traditionalist and the purists' signatures that made Blumarine such a redoubtable brand and still holds many a fashionistas heart with the famed roses printed on delicate sheer fabrics. Blugirl's SS18 collection had everything a youthful brand should have. But expectation aside what was unexpected was the steady stream of creativity that has not abandoned Anna despite years producing top of the line work with her team. Despite the frailty of age which is one master we can never please, Anna work has remained on par with the giants of fashion and does not seem like it will abandon her anytime soon. 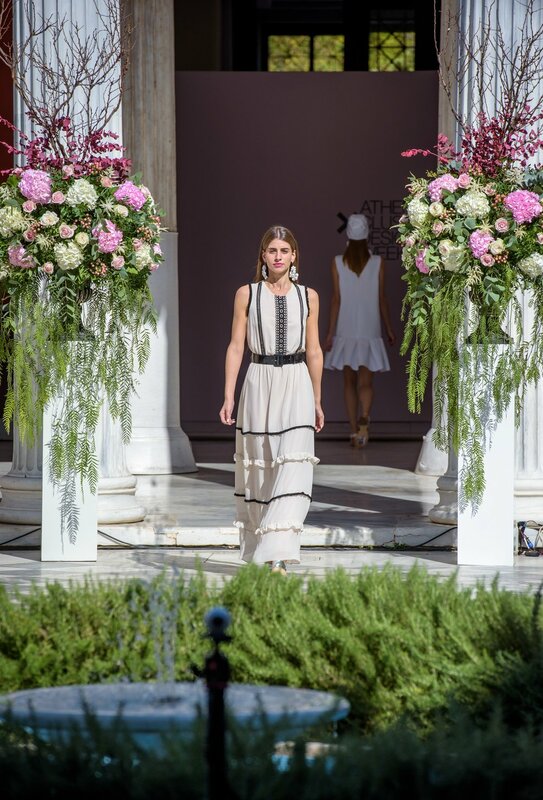 From ruffles to printed flowers to frocks that hang just the right length, the right way, the SS18 covered all the major bases that are both Italian inspired with universal appeal. 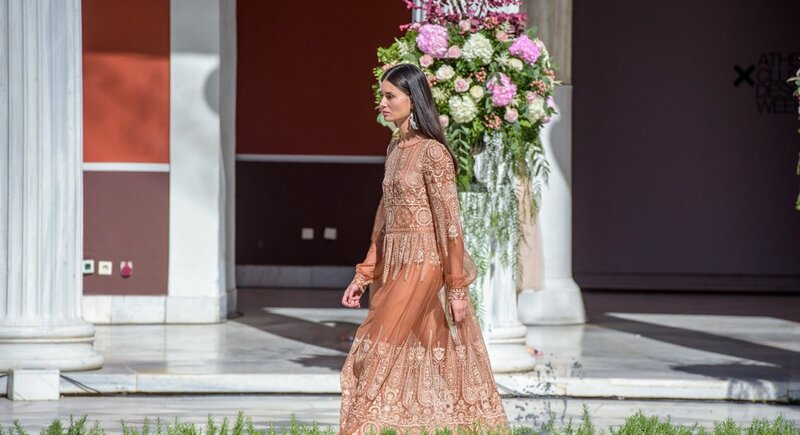 The sheer fabrics and embroidered roses along with long dresses added silhouettes that are both visually cleansing and romantic. 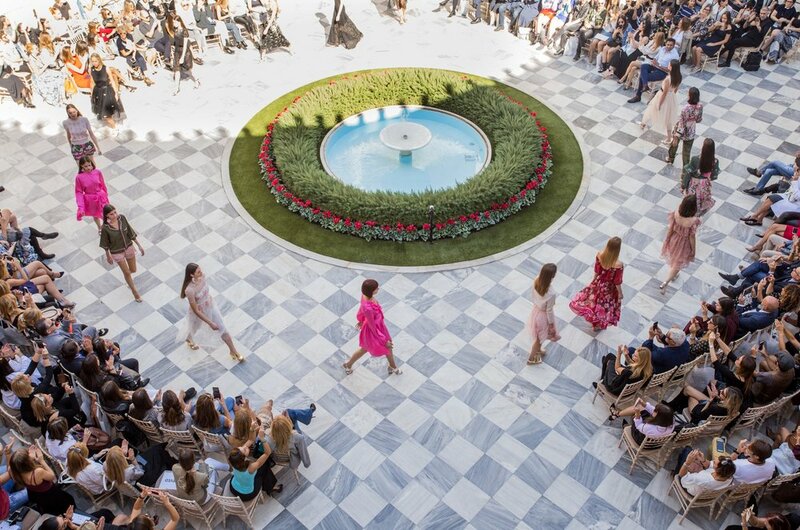 And the wonderful atmospheric details of Zappeion hall added a layer of romanticism to a legacy built on romance and levity.